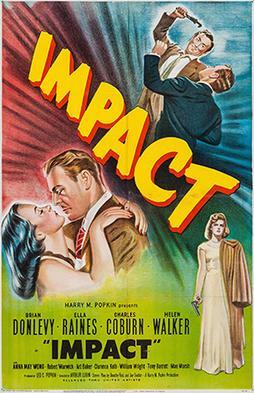 Millionaire industrialist Walter Williams (Brian Donlevy) has a young wife, Irene (Helen Walker), who is trying to kill him with the help of her young lover, Jim Torrance (Tony Barrett). The plan falls apart when Williams survives a hit on the head from the would-be killer. Attempting to flee the scene in Williams' Packard Clipper convertible, Torrance dies in a fiery head-on collision. The body is identified as Williams. The wounded, dazed Williams ends up in the fictional small town of Larkspur, Idaho (filmed in Larkspur, California). He gets a job as a service station mechanic and falls in love with Marsha (Ella Raines), the station's owner. Meanwhile, the police arrest Williams' wife for his "murder." After Marsha eventually persuades Walter to go back to clear his wife, he is charged with murdering Torrance. Marsha enlists the help of kindly police detective Quincy (Charles Coburn) to prove Walter's innocence.